Researchers at the Sanford Burnham Prebys Medical Discovery Institute announced Tuesday the discovery of a molecule that prevents the Zika virus from spreading, which could be a first step toward development of a treatment for the disease. The finding was published in the journal Antiviral Research by Alexey Terskikh, an assistant professor at the institute, and SBP professor Alex Strongin. The research was performed in collaboration with scientists at the La Jolla Institute for Allergy & Immunology. Funding was provided by the National Institutes of Health. 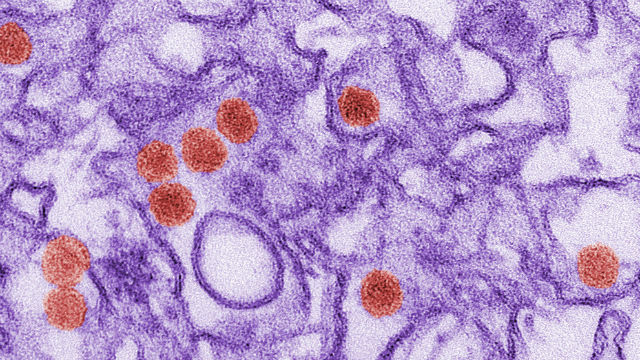 “We identified a small molecule that inhibits the Zika virus protease, and show that it blocks viral propagation in human cells and in mice,” Terskikh said. The tropical disease has spread into the U.S. in the past couple of years, and is known for causing babies born to infected pregnant women being born with smaller heads than usual. The scientists said Zika has also led to increases in cases of Guillain- Barre syndrome, a rapidly developing neurological condition that causes weakness of the arms and legs, and can progress to life-threatening respiratory failure. According to the institute, the scientists used a library of compounds that Strongin’s lab had previously shown to inhibit the same component of the related West Nile virus. They also tried structurally similar molecules to determine whether any also blocked the protease. The screening process identified three promising compounds, which were then tested for their ability to prevent Zika infection of human brain cells. The best one also reduced the amount of virus circulating in the blood of Zika- infected mice. “The inhibitor’s efficacy in animals is the key to the study’s significance,” Terskikh said. An experimental vaccine is set to move into phase 2 clinical trials at SBP in June.